It is my pleasure to welcome the much loved, very prolific and utterly delightful Sharon Sala to The Romance Dish. I had the opportunity to chat with Sharon at the RWA National Conference in Atlanta last summer and was struck once again by how warm, gracious and real this successful author is to fellow writers as well as her legions of fans. 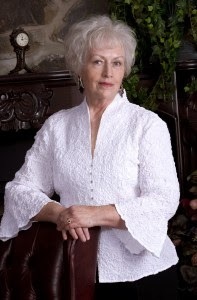 Sharon Sala, who also writes under the name Dinah McCall, has 99 books in print, is published in four genres: romance, young adult, western, and women's fiction, and has sold more than 1.5 million books. Her books have appeared on USA Today, New York Times, and Publishers Weekly bestseller lists 47 times, and have been published in many different languages. She was the 2011 recipient of the Nora Roberts Lifetime Achievement Award. As Sharon approaches publication of her 100th novel, I asked her to share with us her thoughts on her journey to this point in her life. Here's what she had to say. I began writing because of a job I hated, which was a grocery checker in a local supermarket. One night after a particularly difficult day I went home, pulled the typewriter out of a closet and sat down and started writing a book that had been in my head. It took a year to finish it and it was terrible, but I was hooked on the process, so I wrote another that took another year, and it was no better. I stuck both of them under the bed and told myself I’d do this one day when I had more time. Four years later my father and then my only sister died within two months of each other. It was a horrible wake-up call to the fact that if I had a dream, I had to make it happen. No one was going to give it to me. After a few more years of joining writers groups, and learning how to put on paper what I saw in my head, I wrote a third book, and the first place I sent it, bought it. I haven’t looked back. That year my first granddaughter was born, and this coming May she graduates from college and I helped put her through college with proceeds from my books. She has become my touchstone to marking off the writing years. She will be beginning her adult life and career, and I will soon mark the release of my 100th book. It’s called, making two dreams come true. Thank you, Sharon for sharing your journey with us. Readers, what dreams are you making come true? Or, if you haven't yet begun your journey, what dreams do you hope to make true? One randomly chosen reader leaving a comment no later than Midnight, (EST)Thursday, February 6th will receive a copy of Sharon's new book, The Curl Up & Dye. In The Curl Up & Dye (February 2014) no piece of gossip can get past the sassy women who run the Curl Up & Dye salon. As patron LilyAnne Bronte declares she’s finally ready to move on 11 years after the death of her fiancé to the war in Iraq, the women of the salon take matters into their own hands. Sala explores the hopelessness within LilyAnne that’s all too relatable, and reveals with honest humor and cutting emotions the realities young American women must face when they lose a partner and try to move on. It’s Sala’s soulful writing that will make readers want to befriend LilyAnne and join the ladies of the Curl Up & Dye in in helping her find love again. My dream of a comfortable & happy life has certainly come true. There were bumpy patches along the way of course, but life is very good right now. I enjoyed this interview and thank Sharon for sharing with us readers. I admire so greatly when I hear that sheer will and dedication keeps Authors going and they don't quit. It's an inspiring story, isn't it? Hi, Sharon! I was so lucky to read and review your new book via Chick Lit Central and absolutely loved it. The review will be shared at a later date. I am embarrassed to say that I have not read your books before now but I am now on a hunt to find more. The dream I am making come true is to live in Florida and read as much as I want. Warm weather and reading are my passions and now that I'm retired, I am living my dream. You have some wonderful reading ahead of you, Connie! Part of my dream journey began in 1982 when I met my husband. Since then, I have been blessed with 9 kids, 13 grandkids, and 10 great-grandbabies with #11 on the way this month! :) We also have 2 Shih Tzu furbabies - Minnie and Igor. We also had a Lhasa Apso named Max who we lost a few years ago (RIP Maxie!). LadyDi, that's a beautiful dream you're living. What a wonderful family! I am looking forward to reading this! I have read quite a few of Sharon's thrillers and romantic suspense novels, but I do not think I have read all hundred of the backlist! Thank you for sharing such a nice story. Hi Bridget! Isn't it wonderful when we find an author we love and they have such an extensive back list? Hope you enjoy The Curl Up & Dye! 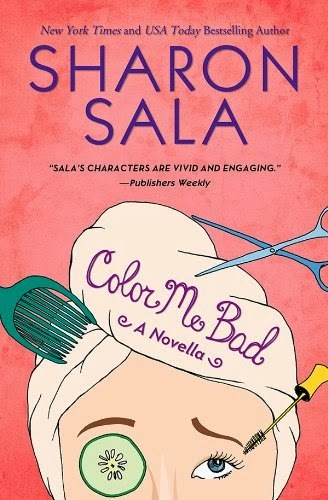 I'm an avid Sharon Sala fan and I read her books as soon as they come out. I enjoyed reading your interview with her, she is a true inspiration that hard work and perserverence is the way to make your dreams come true. I'm living my dream with my husband of almost 30 years, in April and our 3 children. Welcome, suebooks! I agree with you; Sharon is most definitely an inspiration. Congratulations on your upcoming 30th anniversary! I enjoy Sharon Sala's wonderful books. What a lovely interview. Travel is a dream I hope happens soon. Travels is a dream for me too. I've been fortunate to do a lot of it throughout my life but, of course, I want to do more. Would love to visit the British Isles and Australia! I think my first Sharon Sala book was Annie and the Outlaw back in the early 90s, and I am eager to make Curl Up and Dye the most recent on a long list of great reads from SS. I've had a lot of dreams come true. One was being able to write PhD after my name. Another was being a published writer. I'm still dreaming of adding romance novelist to my list of writing achievements. Janga, as I was reading The Curl Up & Dye I kept thinking that you were going to enjoy this one! still dreaming of adding romance novelist to my list of writing achievements. Can't tell you how much I'm hoping for this dream to come true for you. There's going to be one awesome party when you reach that goal! This interview was impressive and heartwarming. Quite a life and success. My dream is to be healthy, happy and enjoy time with family. A very admirable goal, traveler! I love Sharon's books and this one sounds like it is going to be a delightful read. As for goals, mine is just to get through each day with as much joy and happiness as I can. Kathleen, I think that's a very worthy goal! As for dreams, I think when you are grateful for all you have and have great faith - well, to me that pretty much is 'living the dream'! Sharon is an easy lady to adore, isn't she? I like your "living the dream" attitude! Thank you, everyone! Such kind words are heartwarming on this very cold day. I hope you enjoy reading this book as much as I loved writing it. I have fallen in love with Blessings, Georgia and the ladies at The Curl Up and Dye. There will be many more to come. Hi Sharon! Thank you for bringing your blog tour to our little corner of the internet. You have a lot of fans here! I loved The Curl Up & Dye and am delighted to hear there will be more visits to Blessings, Georgia to look forward to. Hi, Sharon--I've just been reading your Rebel Ridge series and loving it! As for making dreams come true, I recently went to England for 10 days and had a wonderful time. I would love to be able to travel! I love Sharon's books and have pretty much read them all and alot of them 3-4 times. My all time favorite book of hers is Jackson Rule written under her Dinah McCall name. Can't wait to read these new ones. My dream has come true, in that my hubby & I are retired and enjoying the status immensely! I'm glad you realized your dream! I lack the imagination to write, but I love reading! Hi, Sharon! We're so glad you could join us today. Your book sounds hilarious! 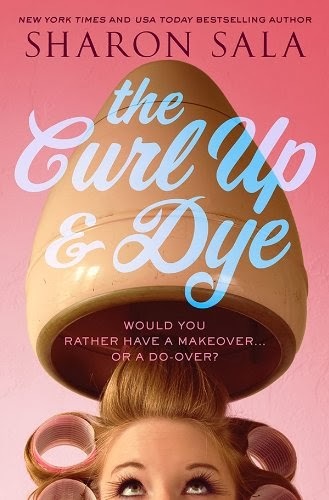 THE CURL UP AND DYE sounds like a good, thought provoking book. I look forward to reading it. I have been lucky enough to have some dreams come true and am working on more. Right now, we are looking at retirement for my husband in the next year or so. We both enjoy traveling and are planning several trips. I hope we can take them all and we will try. If not, planning really can be half the fun. We were a military family for 24 years and learned to make the most of the time you had together. Celebrate when you can and take advantage of the resources you have. We always explored where we lived and traveled as much as we could. Our children got to see much that most don't get the opportunity to. I wanted to share our love of travel with our grandchildren, and we are working on it. We took our grandson (15) on a 4 week trip out West this past summer. I can't wait until our 2 1/2 year old granddaughter is old enough to go with us. You are missing out on some great reads!